I remember when it was a huge problem during a couple of the Haiti crisis. I wonder how many people are aware that the Guantanamo Bay facility currently housing sundry terrorists (well, for a little while longer, anyway) is part of what was originally a holding area for Haitians and others rescued by the Coast Guard and Navy, at sea. The reasoning was that it was closer, allowing the ships to return to patrol quicker and since it is not technically US soil, people had a harder time becoming US residents. Given the problems with illegal aliens along the southern border, it might be time to revisit the idea. I spent a good part of a three year tour in USCGC Chase WHEC 718 doing Haitian Cuban Migrant OPS in the Carribean in an out of GTMO constantly. I remember there was one month that 100 ships ( CG and Navy ) picked up 38,000 souls from the high seas. Many were returned to Haiti but there were hundreds taken back to Haiti. It was a very sad duty period the poverty and desperation that you saw was unforgetable. 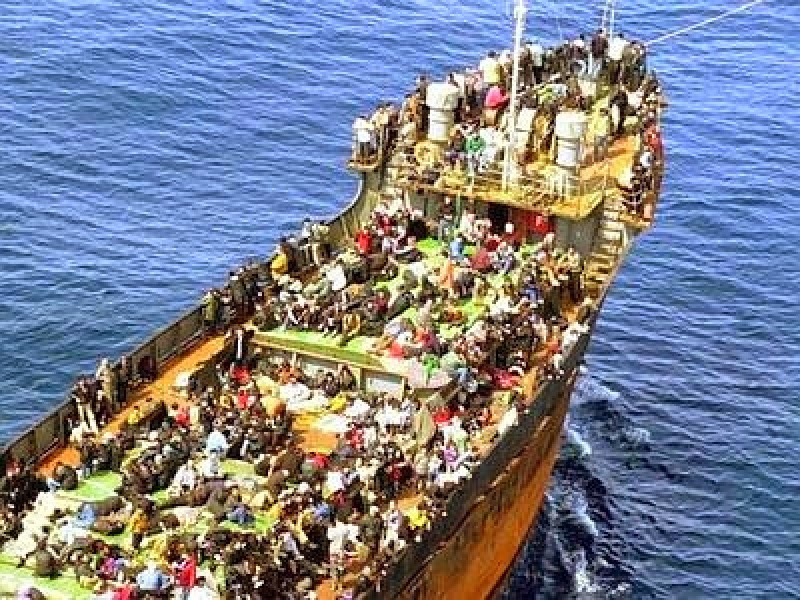 Many died when overloaded boats capsized due to overloading, frequently right alongside while trying to be rescued. 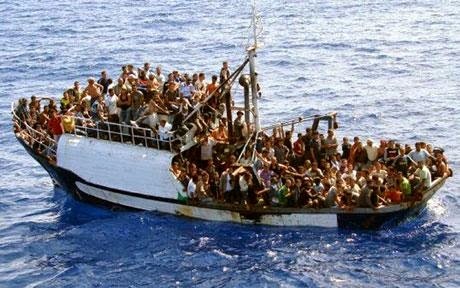 Picture 60men women and children on a 45ft boat in rough seas without food or water and sitting in their own filth.